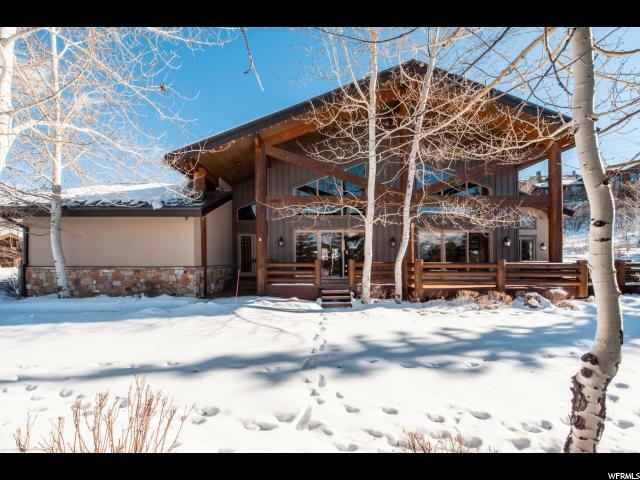 All HIDDEN MEADOWS homes currently listed for sale in Park City as of 04/25/2019 are shown below. You can change the search criteria at any time by pressing the 'Change Search' button below. "This quintessential Deer Valley retreat boasting grand-scale sized great room, kitchen, and dining areas for those who love to gather and let traditions unfold. The temperature controlled wine room is perfect for entertaining. Soaring ceilings and expansive glass stream natural sunlight and views throughout. Main floor master suite opens to a fabulous deck and hot tub inviting you to slow the pace and soak in the serene setting. Multiple decks seamlessly weave the outdoors in. This ideal floorplan includes 4 more bedrooms, all ensuite and spacious. Radiant heat and an oversized heated 3-car garage ensures constant comfort while plentiful storage and a flat driveway simplify ownership. Furnishings included and just minutes from the slopes! "